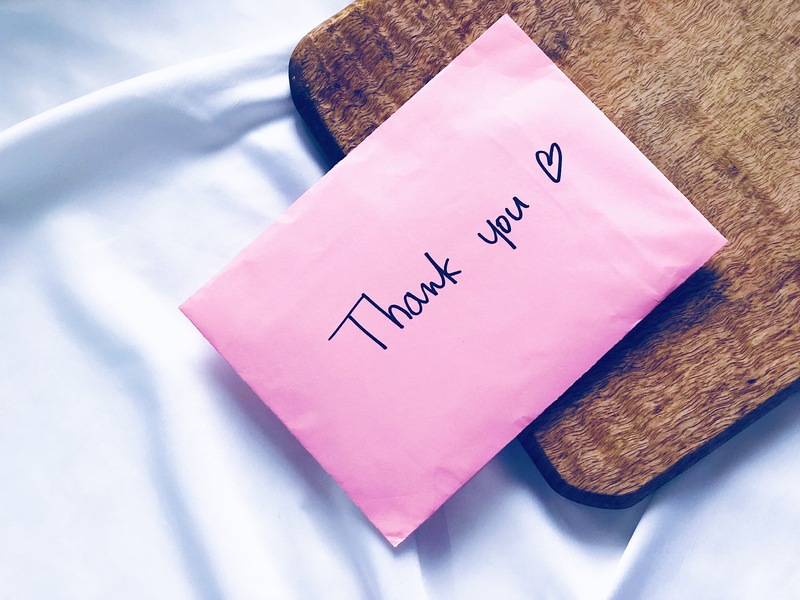 We all get the occasional zit here and there at some point in our lives, but if you’re someone who deals with acne on the regular, then Acne Patches are the best day-to-day solution to protect and heal your skin from infection and scarring caused by acne. I’ve been dealing with acne for years and I don’t think I’ve ever had porcelain, perfect skin. If you follow me on Instagram, you’ll know that recently I had the worst acne flare-up of my life and a product that I tried and loved during this phase was the Avarelle Acne Cover Patch With Tea Tree & Calendula Oil. What is Avarelle Acne Cover Patch With Tea Tree & Calendula Oil? 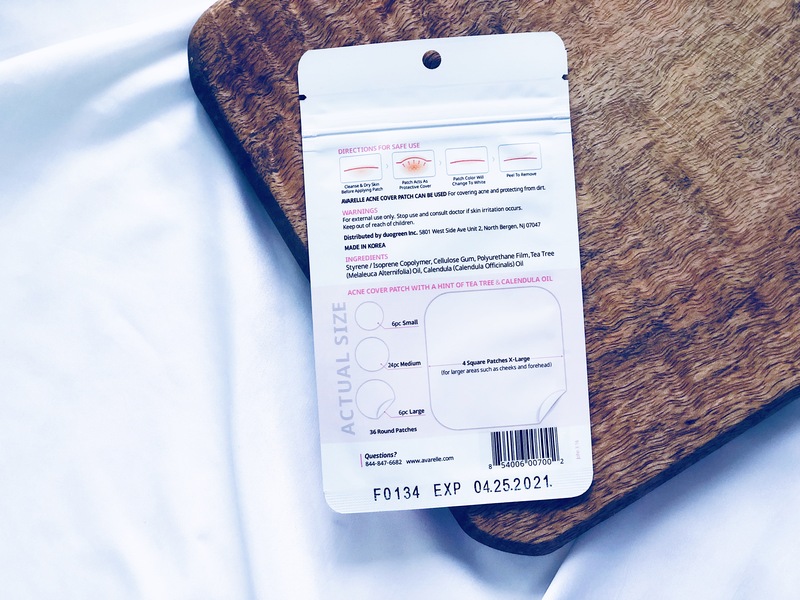 Avarelle describes these Acne Patches as follows, ‘Avarelle is created for people who suffer from troublesome skin or blemish issues in order to lower the unwanted stress levels and to boost your confidence for a cleaner, happier skin. Avarelle is made with Tea Tree Oil, Calendula Oil & Hydrocolloid Dressing. Simply apply Avarelle whenever you see an unwelcoming acne coming up or you just want to hide that awful acne scar. No matter the issue, Avarelle will help your skin look brighter Day & Night. 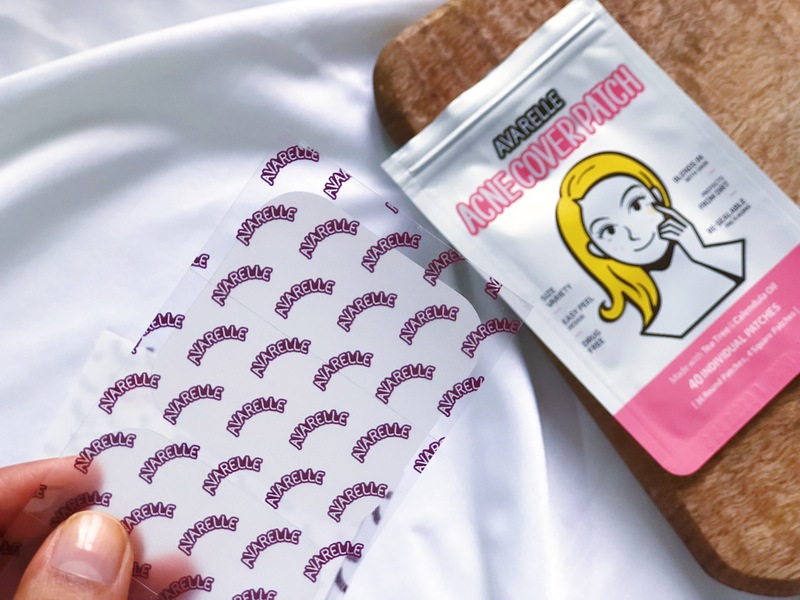 There are 2 different kinds of Acne patches that Avarelle makes – the PINK ones (called the Variety Pack) contain a total of 40 patches – 36 round ones (which are again divided into 3 sizes – small, medium, and large) and then 4 X-Large patches that are square in shape. The second variety is the BLUE package which has ONLY the Xtra Large Square Patches. This pack contains 8 X-large patches to cover larger areas of the face like the cheeks and forehead. What I loved about these patches, at first sight, was the packaging – isn’t it so fun and adorable?! Not just that, these come housed in a re-sealable bag to protect them from dust, etc. The patches themselves are thin (probably the thinnest I’ve ever tried!) and almost invisible on the skin. 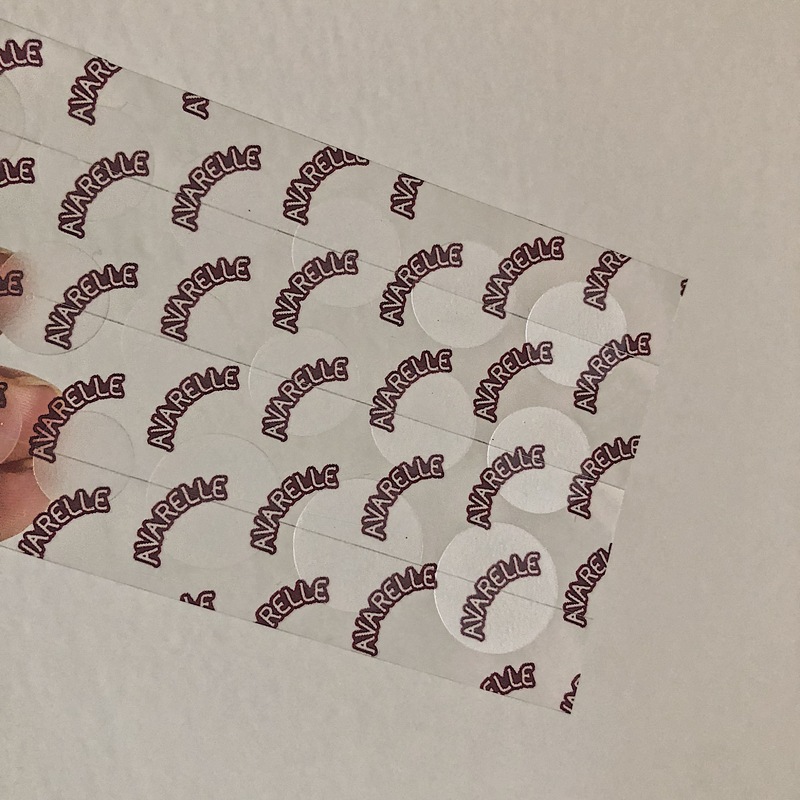 If you’re someone who likes to wear pimple patches through the day as well, these would be a fantastic option, because they literally blend with your skin and will sit well under makeup. 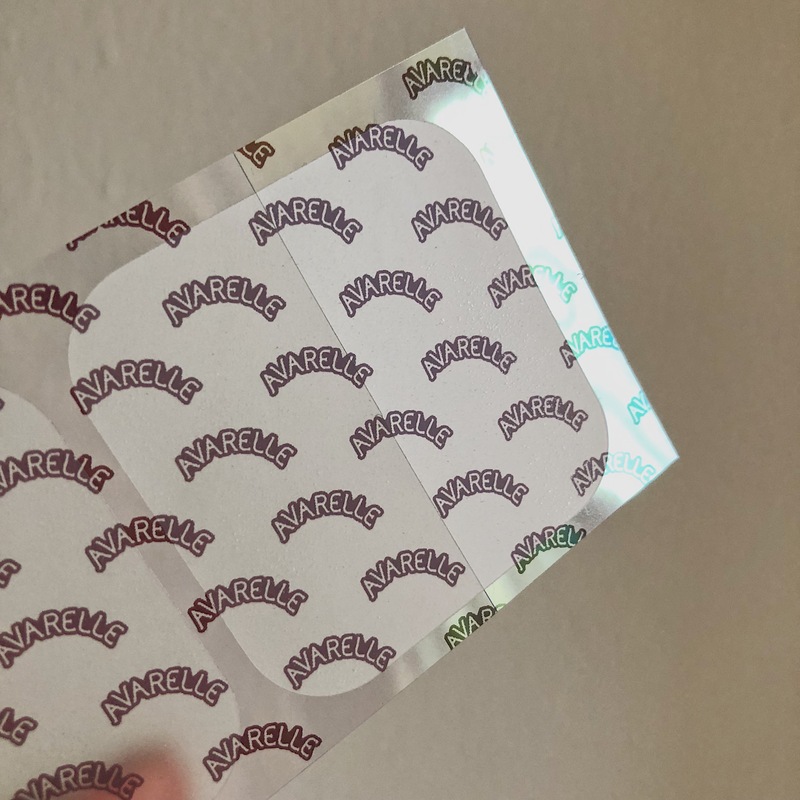 The Avarelle Acne Patches are essentially a Hydrocolloid Dressing, but with the addition of beneficial ingredients like Tea Tree Oil and Calendula Oil. Also, these are 100% hypoallergenic, so safe for even the most sensitive skin types. 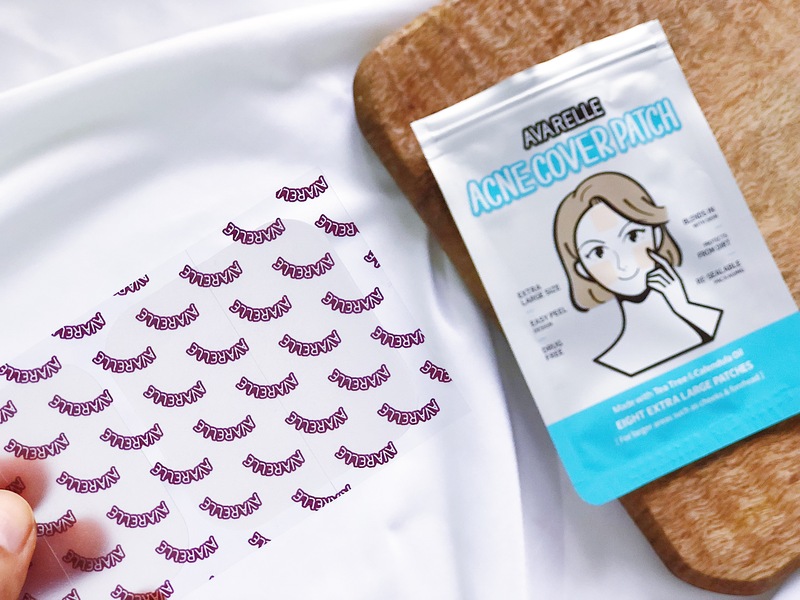 Another thing worth mentioning about the Avarelle Acne Patches is their Easy Peel Design. You can see in the pictures that there are slits/wrinkles created in the packaging that runs through the centre of each acne patch. 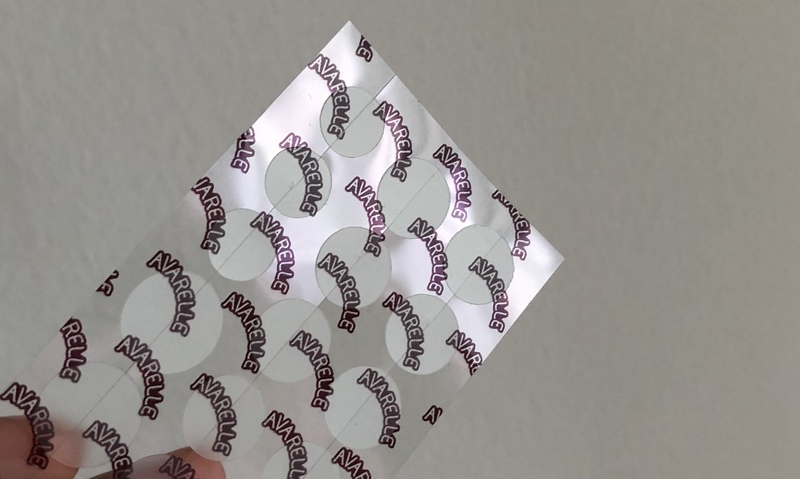 All you have to do is peel off the wrinkle/slit from any one side and the acne patch peels off super clean from the packaging. Start with a clean, dry face. 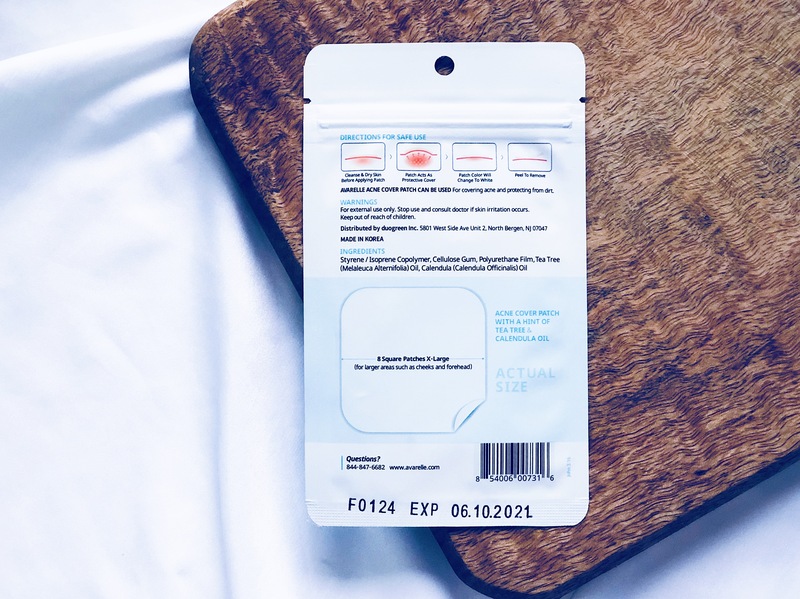 Select an acne patch that will cover a pimple you wish to treat. Peel off the acne patch from the film and gently apply over the pimple. Leave the patch for 8 hours or overnight and once it looks cloudy*, remove it and replace it if needed. *The patch basically absorbs all the oils and gunk from within the pimple, hence the ‘cloudy’ appearance. I really like the Avarelle Acne Patches. They are thin and almost invisible to the naked eye, making them the best option for daytime use. I also love the slight hint of tea tree fragrance in the patches. Ideally, these should be used once the acne/pimple has come to a head, but you can also use these for cystic acne as the Tea Tree and Calendula Oil help to reduce inflammation and take down redness from the area. 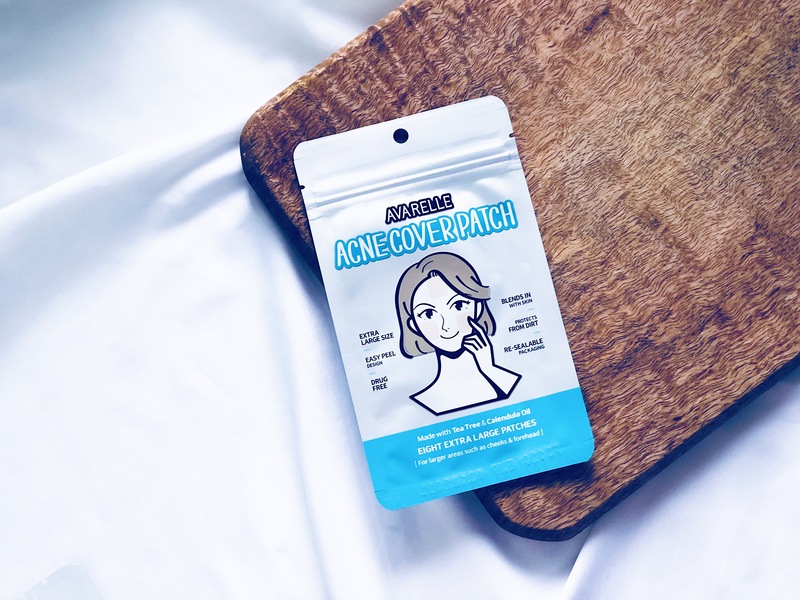 I’ve noticed my acne heals faster if I wear this acne patch continuously for a day or two and also, once the pimple is gone, the scarring is very minimal. 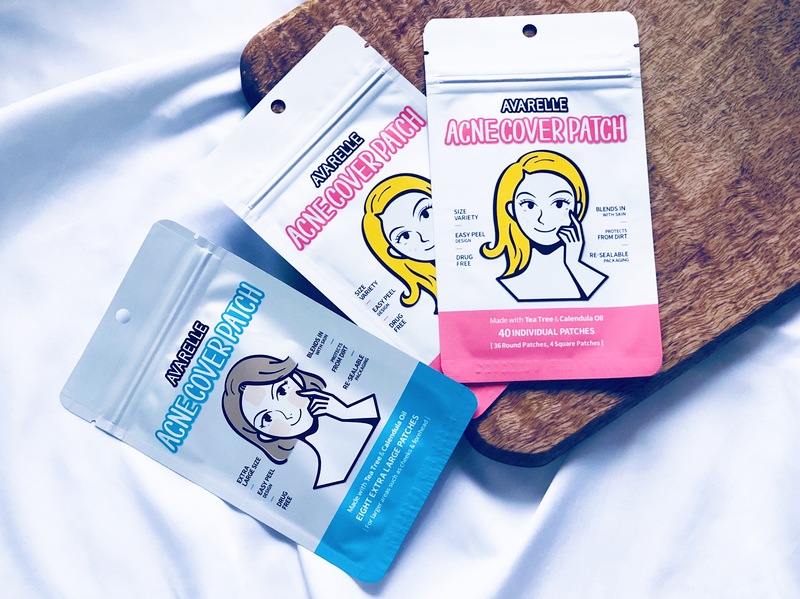 If I compare it to my other favourite acne patch- the ones from Cosrx, I would say that these have better adhesion, however, they are less absorbent in comparison. 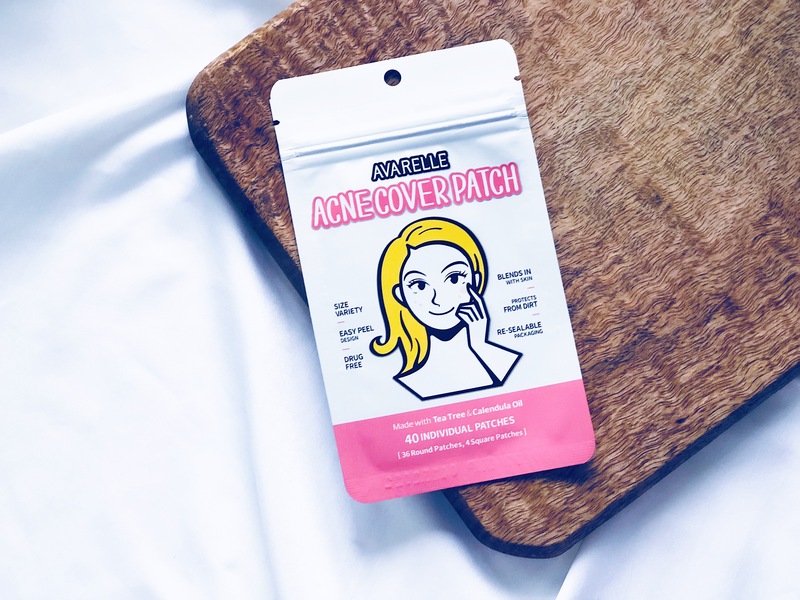 Do I Recommend the Avarelle Acne Cover Patch With Tea Tree & Calendula Oil? They’re really nice…especially because of the added Tea Tree and Calendula Oil. I feel these soothe and calm irritated skin very well.